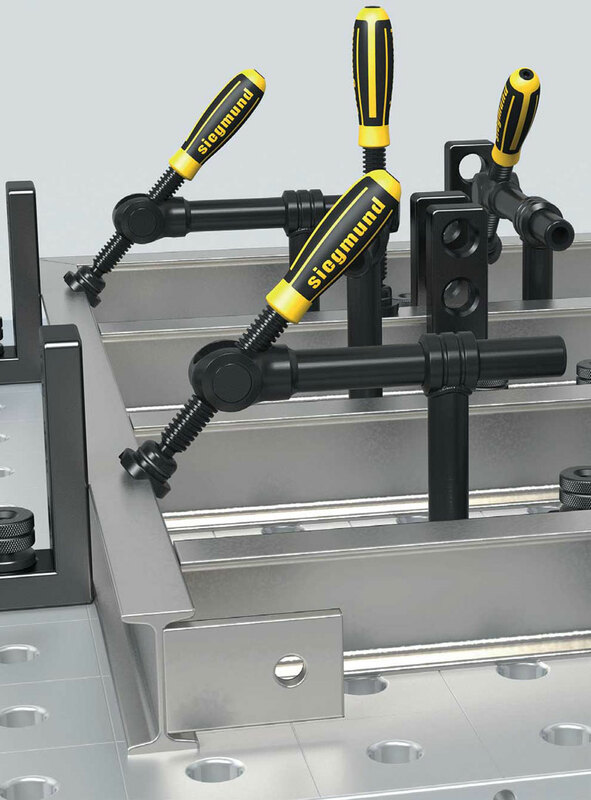 Versatile clamping systems ensure a clamp for your every need. 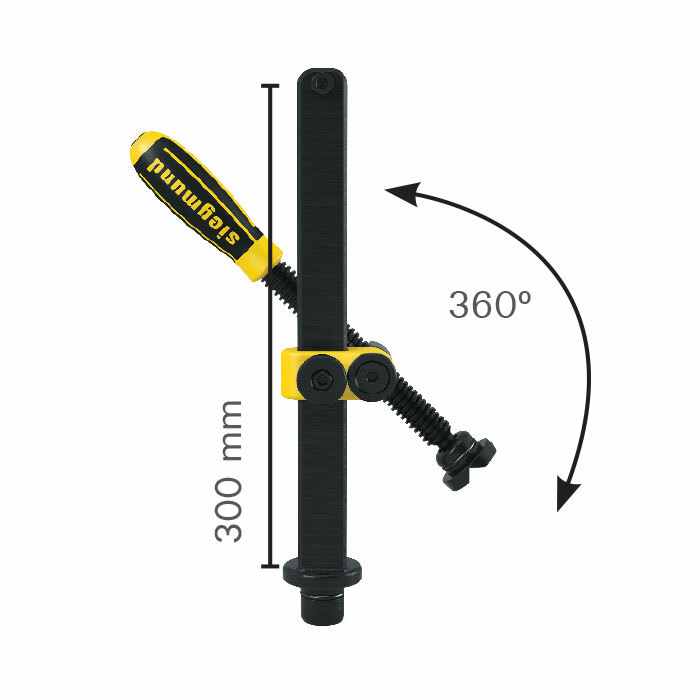 All clamps easily set with one hand and feature interchangeable pads for work with sensitive materials. 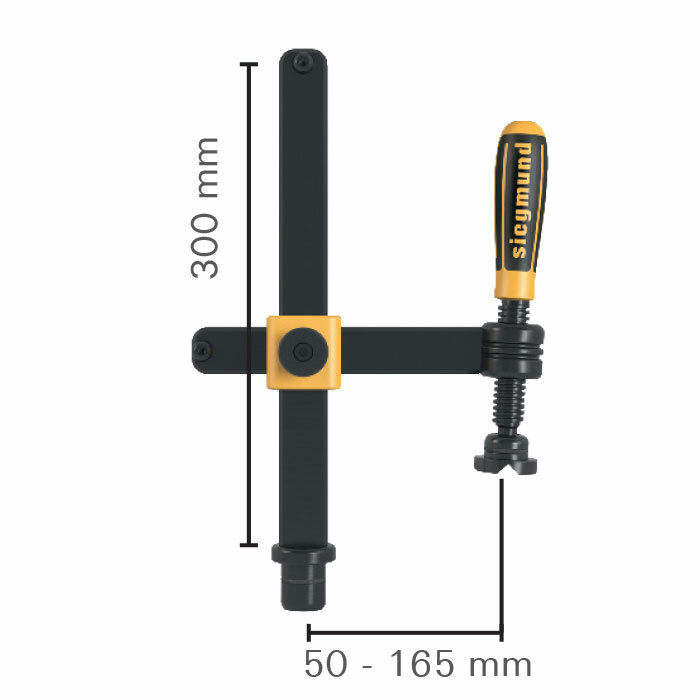 The Standard Screw Clamp adjusts by hand along the vertical and horizontal axis for precise placement anywhere on the table. The Basic Pipe Clamp Universal features horizontal and vertical adjustment as well as pivoting action at the spindle head. An adjustment ring at the base allows it to sit in a lower profile during welding as the round bar sits below the table or clamping square surface. 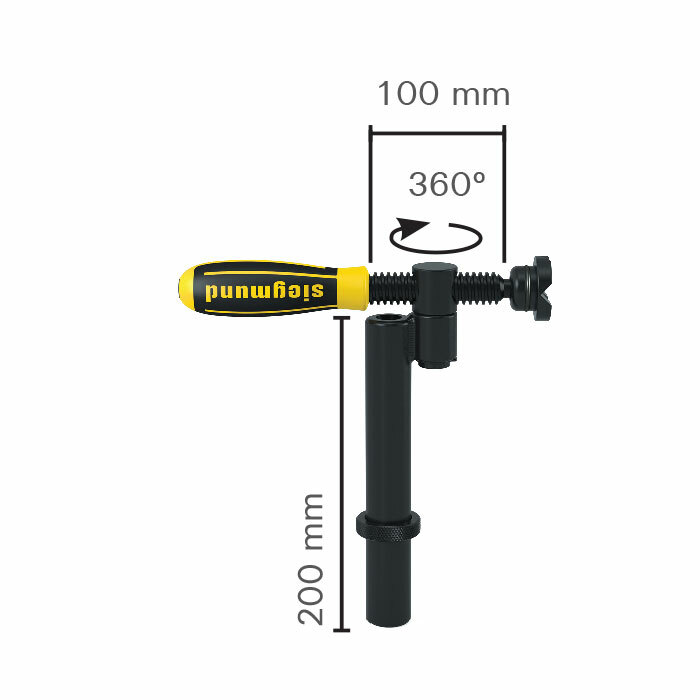 Spindle and bushings from item S2-280610 can be removed by hand and inserted into system holes for clamping with stops and squares. Table Mount C-Clamp for repetitive clamping. 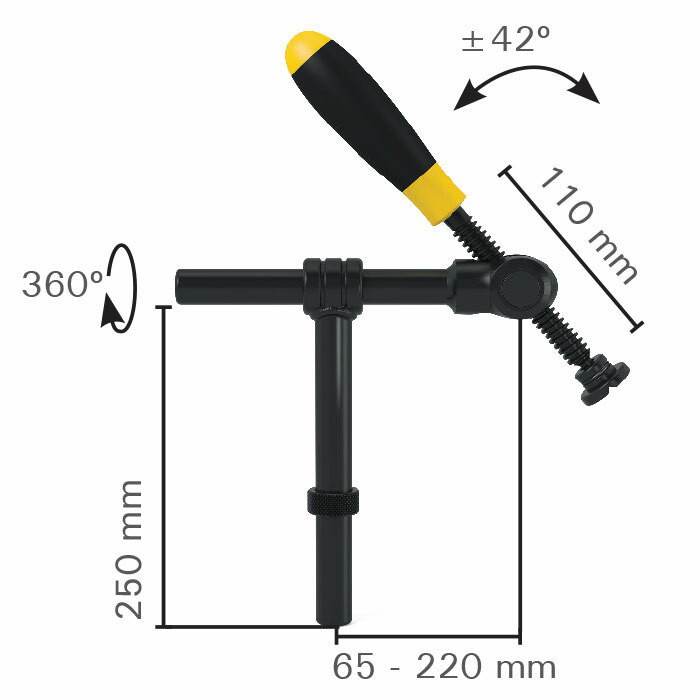 Clamping range can be set with adjusting screw.